You can not order on this website. To make an order please visit www.paibkk.com. 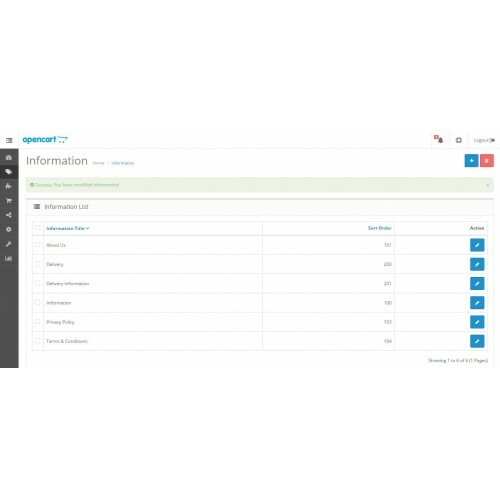 With this module you will be able to have the bottom info menu placed to the top menu(bar) or at both. Download, unzip and open READ ME. Upload the folders inside the upload folder. Installation Guide (README.txt) included in download. NOTE: This version requires VQMOD !!! Have VQMOD installed on your website !!! Unzip the folder on your computer. Upload the folder locate in the "upload folder" to your webshop's root. Select the file from the "Information List" that you want to have placed in the TOP menu or in the BOTTOM and TOP menu.